Rain caused by tropical storm Noel hit Haiti and the Dominican Republic pretty hard at the end of October. 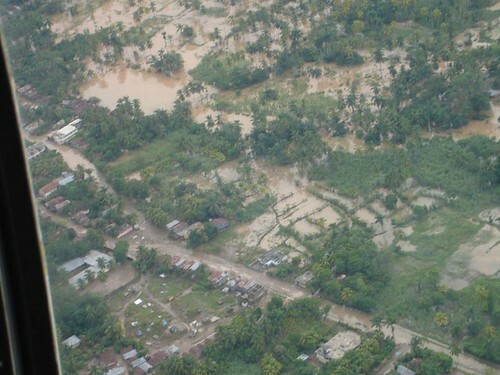 A flooded village in Barradères Haiti. This is how Petit Trou de Nippes in Haiti looks like after the storm. 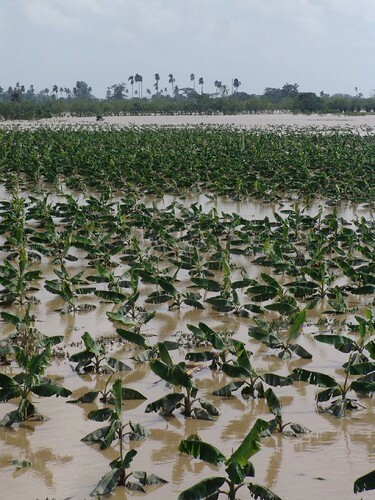 The remains of a banana plantation in the Dominican Republic.